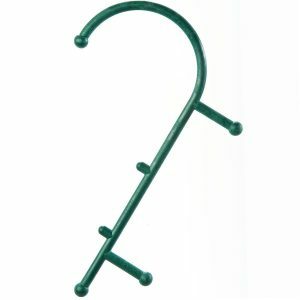 The wheel massager is an easy to use device for massage that is effective and compact for easy storage and to use when travelling. 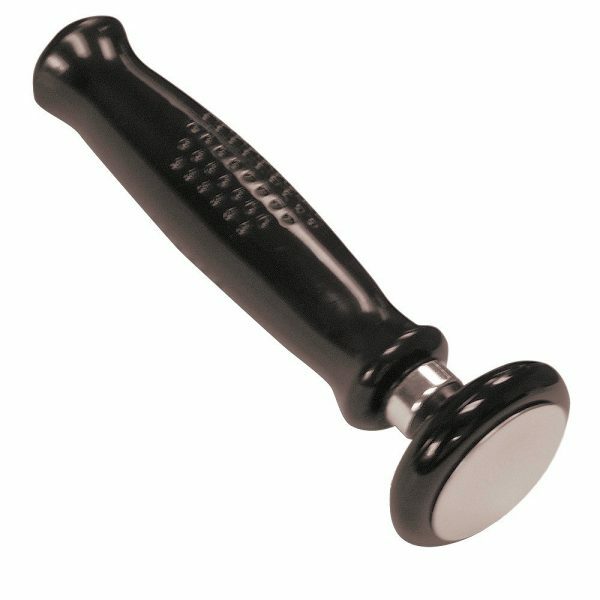 The wheel massager is an easy to use device for massage that is effective and compact for easy storage and to use when travelling. Doctor designed and made to provide fast, temporary relief from soft tissue problems related to muscle soreness. This type of treatment is called myofascial therapy because it treats muscles and the surrounding tissue called the fascia. Sports injuries, work related injuries including repetitive or repeated use injuries can cause muscle stiffness, pain and reduce function. It provides an easy method to help relax stiff muscles, and is a great massage tool to treat tendinitis, often associated with muscle problems and injuries. 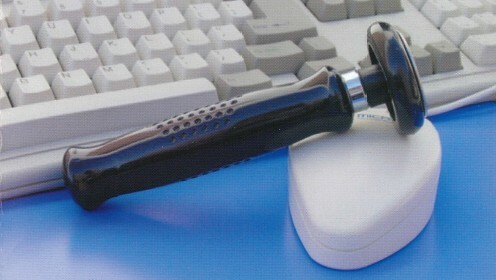 The easy to use handle means you do not have to strain while providing a great massage to sore neck muscles, shoulder problems and arm soreness, especially related to computer use. 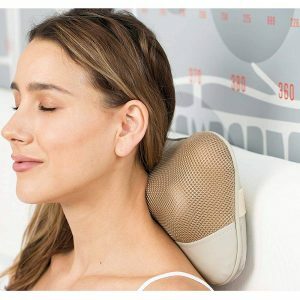 The wheel on the massager produces a unique massage sensation. It can be used to follow the muscle fibers along the length, across the muscle or for use in treating tendons, where the wheel is moved back and forth across a tendon in what is called cross friction massage. Helps to increase blood supply and nutrients to tissues. It can also stimulate nerve pathways and acupressure points. This can help to increase normal muscle and joint function. 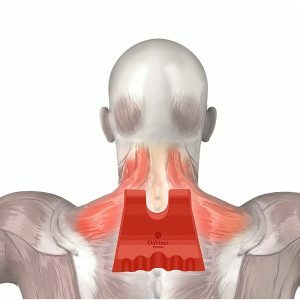 You can also concentrate on tender areas within muscles called trigger points, providing an optional method to heavy compression, therefore, less pain. Can be used on just about any area. The basis is treatment to the muscle and tendon, called musculotendinous therapy. 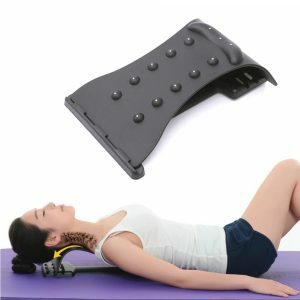 This is useful for conditions like neck muscle pain, carpal tunnel syndrome by treating the forearm muscles, occipital neuralgia or nerve related pain at the base of the skull, tension headaches, tmj jaw pain related to muscular tension, epicondylitis or elbow pain by treating the tendon attachments, shoulder pain, and many other muscle problems in the back and legs. It is approximately 5 and 1/2 inches long. The handle is 4 and 1/2 inches and the wheel measures about 1 and 3/4 inches across and about 1/2 inch in thickness. The wheel is tapered to provide a small contact area, perfect for small, hard to reach locations. 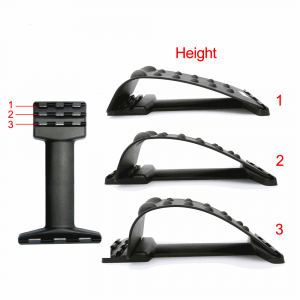 It is made of steel and nylon and is very durable. As a note, I have had mine for more years than I can remember. The manufacturer sent me a sample when they first came out for my evaluation. It is still in perfect working condition throughout all these years and I use it myself. 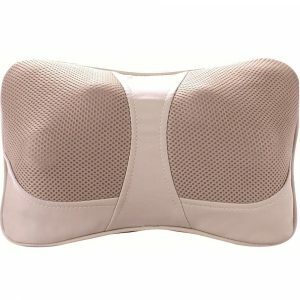 It is great for a quick treatment and I really like the feel of this. 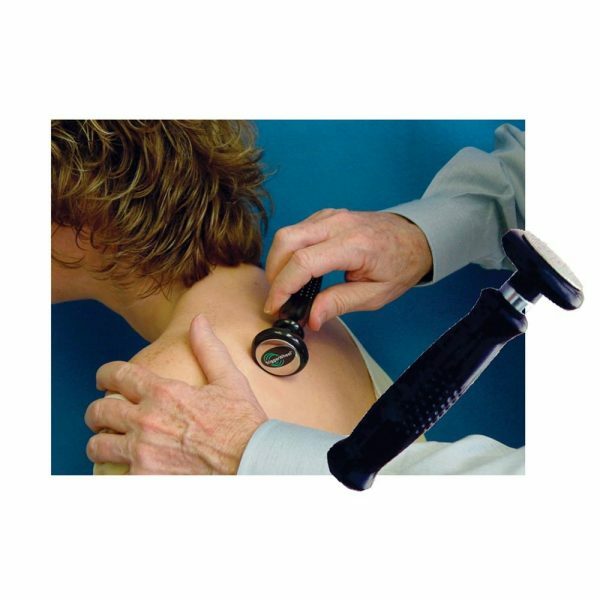 Whenever I use it on my neck, along the length of the posterior (back) muscles, I actually get goose bumps going down my arm on the side I am treating! I tend to get epicondylitis in my left elbow and find a quick session treating the forearm muscles that attach to the elbow is very beneficial. 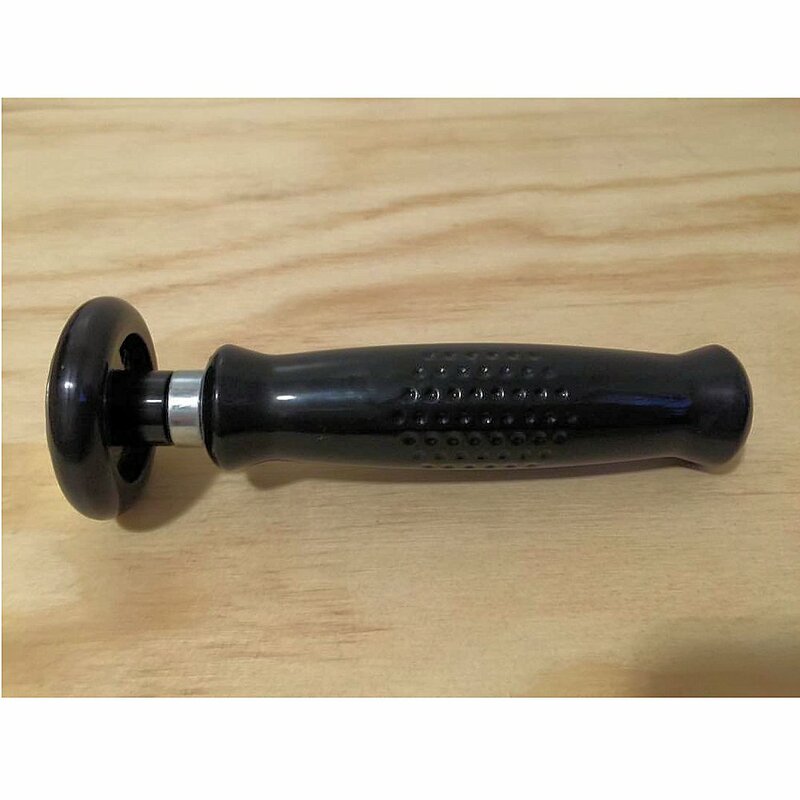 There are many uses for the wheel massager and it is an impressive massage tool that anyone with muscle and tendon problems should not be without. 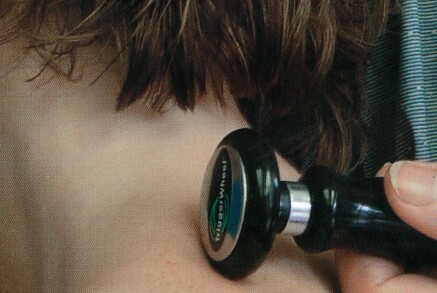 It can be used to locate tender areas in the muscles which need treatment.